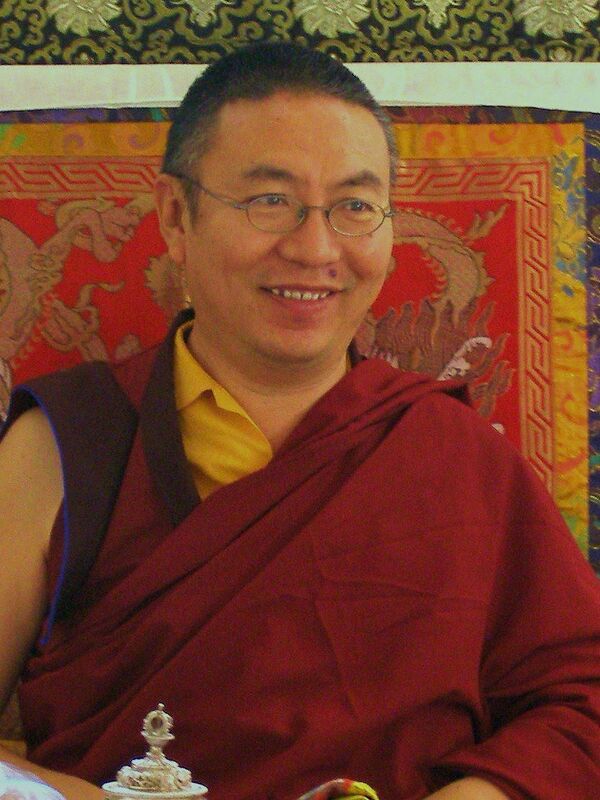 Αρχική › POSTS IN ENGLISH › EVENTS › MAHAMUDRA SUMMER COURSE 2012 IN GREECE WITH SHANGPA RINPOCHE. 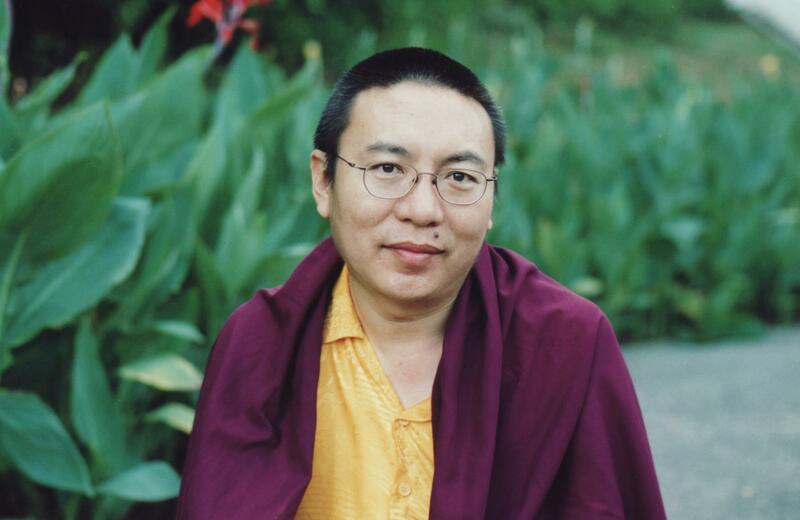 MAHAMUDRA SUMMER COURSE 2012 IN GREECE WITH SHANGPA RINPOCHE. The Athens Buddhist Center welcomes Venerable Shangpa Rinpoche to Greece with great joy. Rinpoche agreed to honor us with his presence and include us in his three month tour in U.S and Europe. He will be with us from the 13th to the 20th of August 2012. Shangpa Rinpoche is a renowned teacher of the Kagyu Lineage of Tibetan Buddhism. His main activity is in Nepal and Singapore as well as in other countries of Asia. He is known and loved in many Buddhist centers in Europe and America, where he often visits giving authentic meditation and Dharma teachings and guidance, bring benefit to many people. It is very auspicious that we can receive teachings from this realized being who is a conscious reincarnation (Tulku) of a great yogi in Tibet who lived from 1897 to 1957, also called Shangpa Rinpoche (disciple of 15th Karmapa). Rinpoche will give teachings on Mahamudra from a text of the 3rd Karmapa Rangjung Dorje which consists of a step to step explanation of the different stages of this practice and its realization. It also gives key instructions and advice on how to overcome different obstacles and veils that mind may encounter on the way. The transmission of such texts constitutes the basis for a gradual and successful meditation practice development such as through Shamata and Vipassana (Tib. Shine – Lhaktong), which are the main practices that will be done during the course. Rinpoche will also give the Vajrayana Tantric transmission of Milarepa, at the end of the course, a special blessing for the realization of one’s Mahamudra practice. Also though this transmission we receive the permission to practice the deep Milarepa Guru Yoga, that enables us to identify our common mind with the mind of a fully realized being. During the seminar, Rinpoche will perform a two hour Dzambhala ritual, a method belonging to the Vajrayana vehicle that enhances abundance on all levels as well as good luck. This is very auspicious especially in these difficult times where people suffer because of the lack of spiritual and material abundance. Finally we will have the opportunity to receive the basic commitments of ethical behavior for lay practitioners which are called Pratimoksha vows. To take these vows is not obligatory but one should be aware that by taking these commitments one’s merit increases and one’s practice will have quicker results. Rinpoche will give explanations on the meaning of these vows. 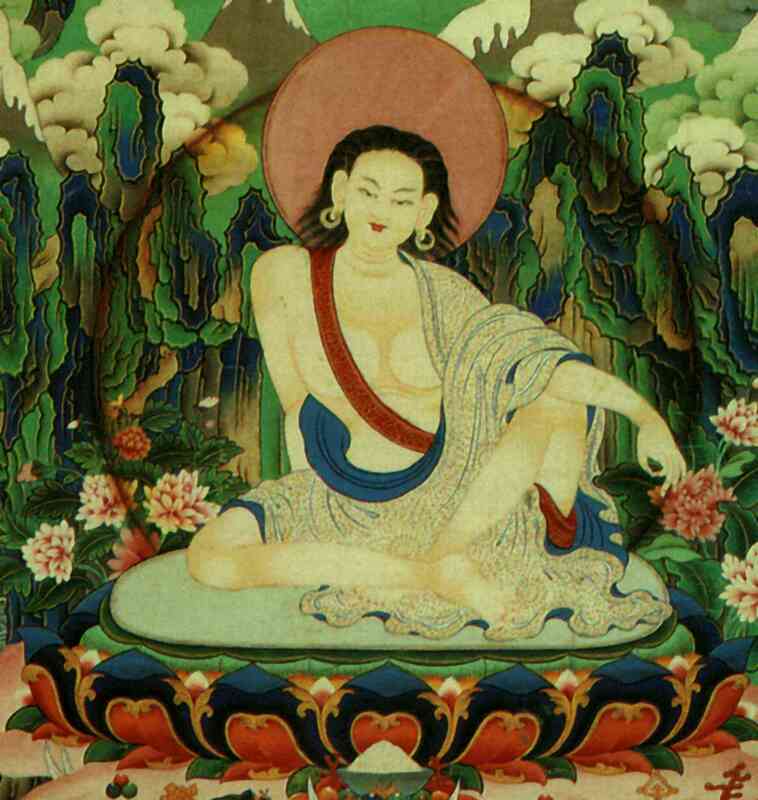 “ The purpose of the path of Mahamudra is to dispel the darkness of the mind. Each time that we meditate we clarify some of that darkness. The true nature of mind is light and has no darkness. Although we do have the inherent ability to see this beautiful quality, we hardly ever experience it. Because the temporary stains or veils that obscure the mind prevent it from seeing itself. It is similar to how the clouds obscure the sun. The stains are temporary because it is possible to dispel them. * The exact duration of the meditation sessions will depend on Rinpoche’s decision. * During the brakes you can rest, do your personal practice or some more Shamatha –Vipassana in your room or in the closed meeting room or you can go to the nearby beaches. * A group fieldtrip to Delphi will be organized as well. The beautiful place where the course will take place at, is called in Greek “Mitos Tis Ariadnis” and has only a certain number of rooms available for rent but there is the possibility to camp within the property of the land and one can also rent rooms in the very nearby village. The buildings are built harmoniously to the natural environment with beautiful view toward the sea and mountains. The area is peaceful inspiring to do cultural and leisure time fieldtrips. If one wants it is possible to rent rooms in the nearby area. These hotels agreed to rent their rooms at a special price for those attending the seminar. The above prices are valid if you rent a room for at least four days and only if you take part in the course which you must point out at the reception. (Seminar at “Mitos tis Ariadnis”). Cost for daily food is 7€/per person per day and includes breakfast, lunch and dinner. Since there is no support of a central organization or a steady economical support by sponsors, the contribution of each one of us is very important and indispensable in order to cover all the expenses connected to this event. These include: flight tickets, lodging and food expenses, renting of the hotel facilities, other organization expenses etc. 125€/per person for the whole course when applied and paid off by the 20th of July. 100€/ per person for the entire course for couples, non-employed with non employment card, and students with student ID. 160€/per person for the whole course when applied and paid for after the 20th of July. For the following days of the course there is a discount if you come only for one of those days: 30€/per day and person for Tuesday, Wednesday and Thursday. And 40€/per day and person Friday, Saturday and Sunday. There will be a box in which one can place an envelope with a donation for them before or after the transmissions of the day. At the end of the seminar these donations are offered on behalf of all participants to Rinpoche, the translator and to the lamas attending and helping with their effort. It is very important to mention that the center is a completely nonprofit organization. The center that organizes the seminar is a Buddhist place of worship, licensed by the Ministry of Religious affairs, that is sustained solely by the donations and the support of its members. The only purpose of the seminar is to give people the possibility to meet and connect with the purest and highest teachings and transmissions of Tibetan Buddhism. If you have friends that might be interested in this event please forward this message ! ‹ ΣΕΜΙΝΑΡΙΟ ΜΑΧΑΜΟΥΝΤΡΑ 2012 ΜΕ ΤΟΝ ΣΑΝΓΚΠΑ ΡΙΝΠΟΤΣΕ, Αναλυτικό πρόγραμμα, Πληροφορίες & Δηλώσεις συμμετοχής.